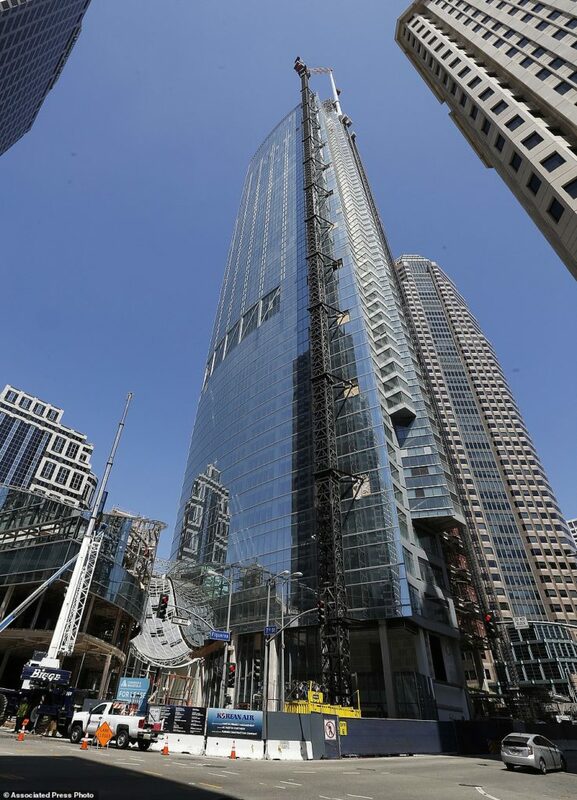 The Wilshire Grand Tower in downtown Los Angeles has officially been crowned the tallest building west of the Mississippi River, after the topping out of its spire on Saturday, September 10th. This skyscraper is not only relevant for its height but also for its unique shape. 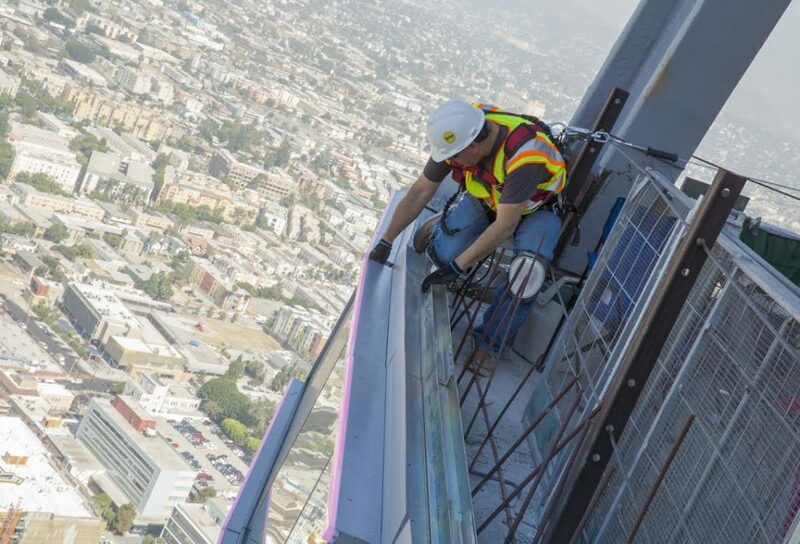 The Wilshire Grand is the first in Los Angeles to propose an alternative to a flat, surfaced roof, giving the architects freedom of form, and forever changing the shape of the Los Angeles skyline. 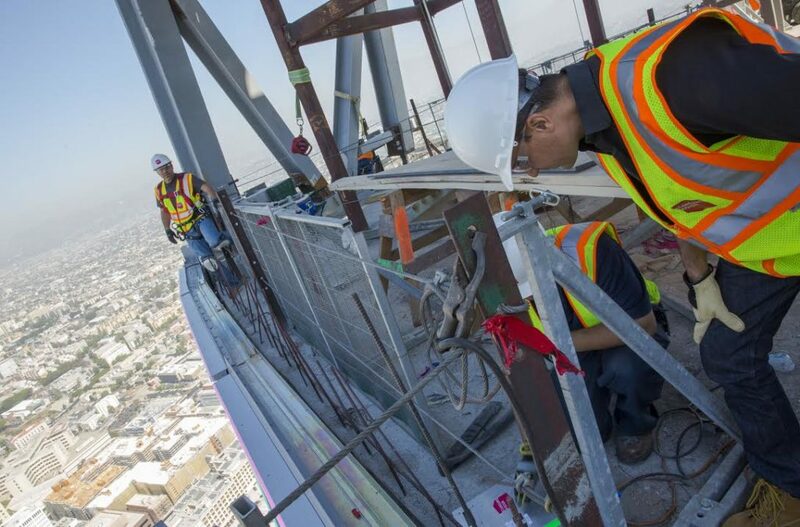 All in all, the stylish new building will stand at 1,100 feet, including the spire and “sail.” StandardVision’s LED lights will illuminate the spine and the sail, integrating ambient lighting into the curtain walls of the skyscraper. Pictured below, is the StandardVision team working to install SV’s signature Replicants that will illuminate the spine. The Replicants will provide an accented enhancement to the building’s unique architecture that will be seen from miles away, adding an extra glow to the Los Angeles skyline. You can also see the crew testing the Replicants to confirm functionality. 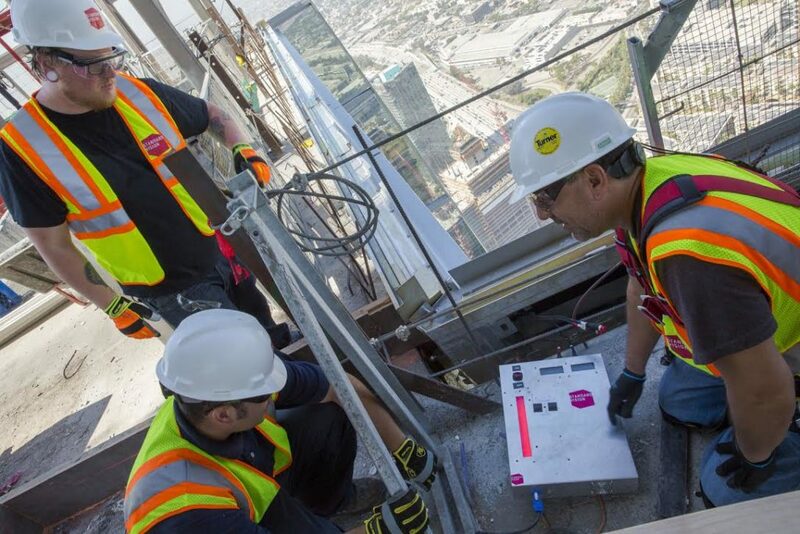 Due to the sheer height of the tower, installing the Replicants is no easy task. 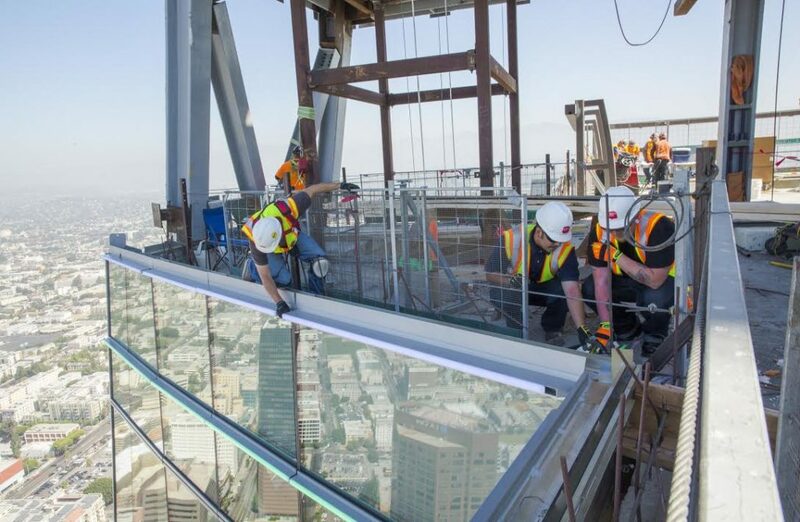 The StandardVision team has had to do some creative problem-solving to ensure total safety of the crew, while maintaining the quality of the design, safe handling of the products, and coordinating with the many others working in close quarters to complete the building on time.